Flying Soon to a Porch Near You? It’s a bird! It’s a plane! It’s … a commercial delivery drone! 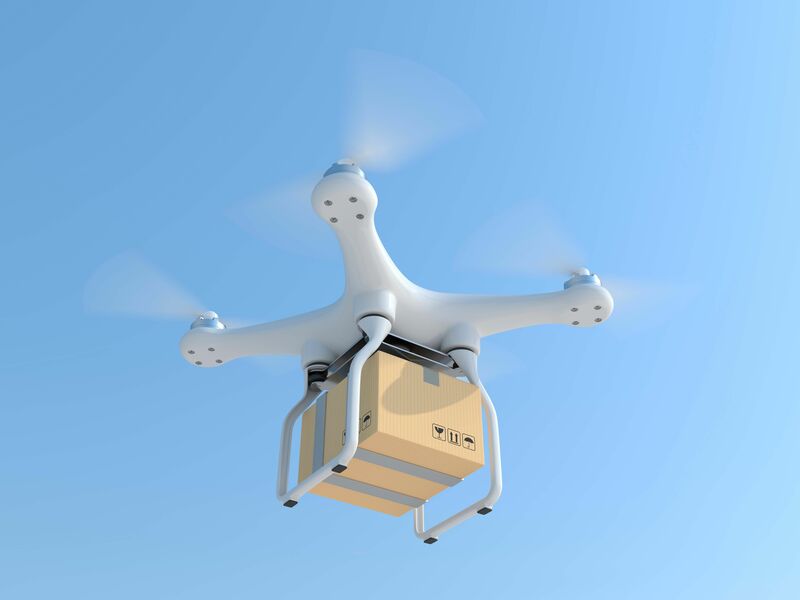 We’ve heard for years about drones that can deliver packages, or even pizza, a few hours after we place the order online. It’s been long enough that you’d be justified in asking whether it’s ever going to happen. Yes, unmanned delivery drones are still on the horizon. But current projections don’t see it happening until 2020 at the earliest. The Federal Aviation Administration is developing regulations for commercial delivery drones that can fly thousands of feet in the air, and the drafting of those standards isn’t expected to be completed for another three or four years. Currently, small drones are allowed for routine commercial use, but can’t fly higher than 400 feet and must remain within line of sight of the operators. Another of the biggest holdups is the fact that these drones will be required to have sophisticated sensors to help them avoid collisions on the ground or in the air. The problem is, those systems don’t exist yet. Between the need for new technology and the onerous process of drafting regulations, it may be well into the next decade before we see widespread commercial drone flights. Of course, that hasn’t stopped retailers like Amazon from trying to lobby lawmakers to make the rules more quickly. These companies are even developing their own technology. DHL created its own helicopter drone called the Parcelcopter. With the help of a remote operator, the Parcelcopter not only flies, but also autonomously loads and unloads packages. In its testing, the Parcelcopter took just eight minutes to travel the same distance a car would take 30 minutes to reach. To be clear, these delivery drones aren’t likely to replace the longer legs of a shipment’s journey anytime soon. Instead, they’re designed to take care of that final, expensive stage, delivering the package from a local warehouse to the customer’s door. These developments will clearly take more time, but the prospect of commercial delivery drones finally getting off the ground is pretty exciting!